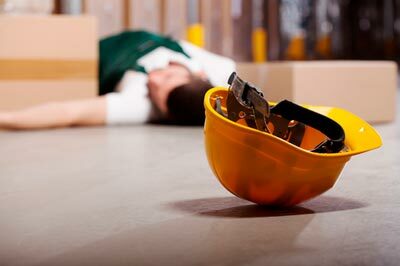 The victim, in the event of a work injury, is meant to provide proof documents such as a doctor’s report amongst others, in order to obtain his compensation. The first stage is usually negotiation with his employer, here; all pre-established clauses are referred to in determining the amount to be paid in compensation. it is important to get an attorney who can help advocate skillfully so as to get a maximum injury claim settlement. Negotiations with the employer can fall through for such reasons as disagreement on the amount for settlement. The issue is then taken to court, where the attorney goes on to present the claimants’ case, in a way that best represents his or her interest. Thousands of work injury cases have been carried out over the years in the United States, making it a peculiar case, demanding of a skilled attorney. At Rawa Law Group, we provide Whittier’s most proficient work injury attorneys, whose skill and tireless advocacy are bound to ensure that your claim is won. Our attorneys are your experts who carry out an efficient system of personalized representation and individual attention for all our clients. It is our belief that each case with a client is unique and should be handled with utmost involvement. You will be set up with your own attorney, who will go on to keep you abreast on all the details needed through the court proceedings. Meetings with your work injury attorney in Whittier will be set flexibly at your own convenience in mind and on occasions, meetings can be set at home or at the hospital. All the services provided by your attorney will not be paid for until your claim is won.